The foundation stone was laid on 25 July 1853, and the church was consecrated on 16 August 1855. Various additions were made in 1905. The ecclesiastical parish of Trefnant was created on 21 January 1855, by an Order in Council, out of part of the ancient parish of Henllan. It consisted of the townships of Llewenni Isaf, Llewenni Uchaf, Banister Isaf and Banister Uchaf. 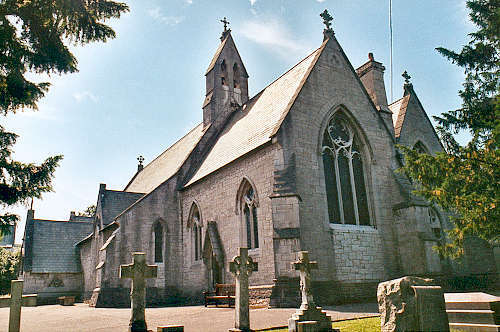 For family history information about the church and parish, visit the GENUKI Trefnant page.